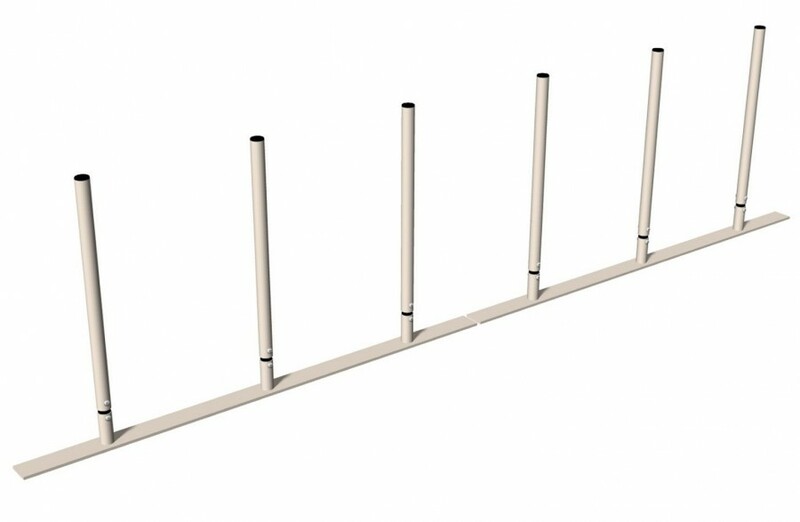 Weave Posts has 6 posts attached to a surface-mount for easy alignment. 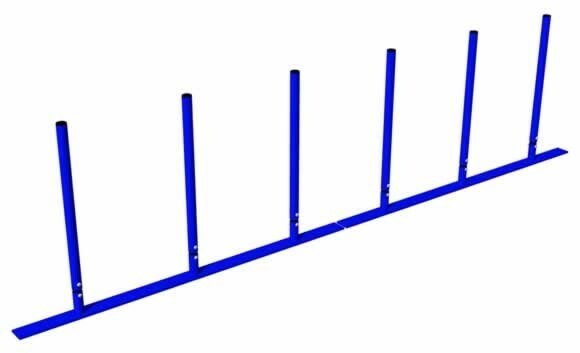 Each of the posts has a rubber stopper for extra spring. 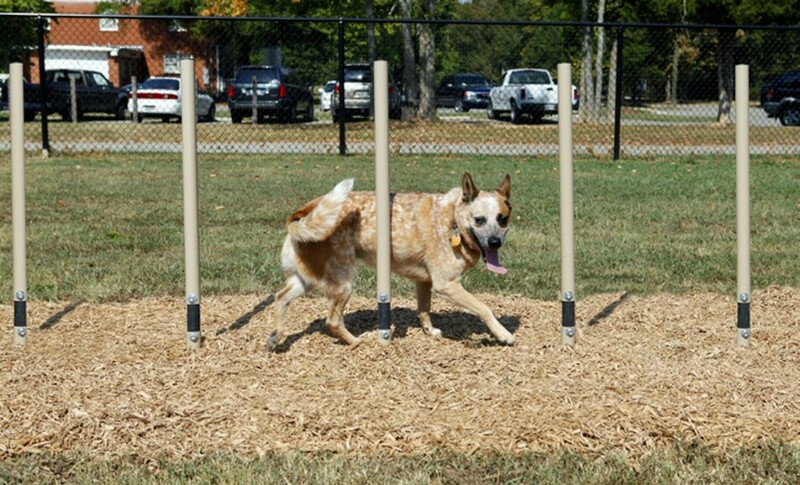 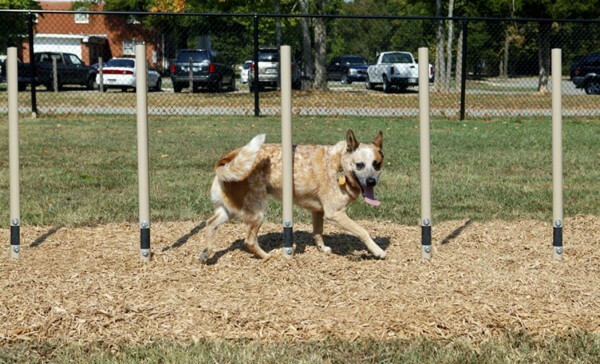 It's the perfect addition to any dog park.